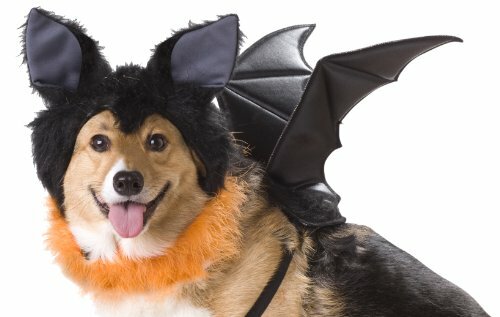 A batty costume for your canine friend. 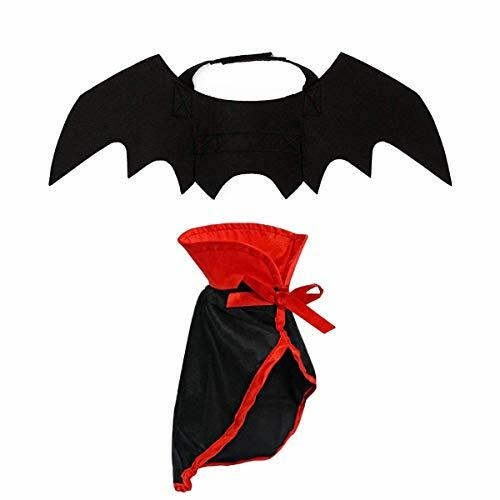 Turn heads where ever you go with this one of a kind Bat costume comes with bat headpiece and foam wings. Take Halloween dressup to the next chilling level with this Bat Dog Costume. 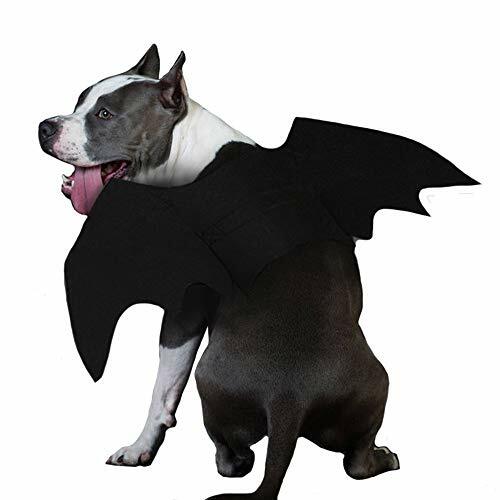 Using black plush, the costume features a purple belly with wings and bat ears This design uses velcro closures from the neck to the belly and also includes a hole to attach your leash. 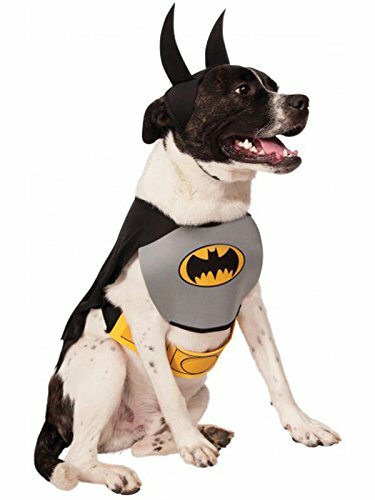 Available in the following sizes: XSmall 8"L : Small 12"L : Medium 16"L : Large 20"L : XLarge 24"L All Pet Costume sales are Final. No returns or exchanges. Suit for your dog wearing in spring, autumn and summer, a great gift for your pet, it will like this vest very much.Feels very soft, smooth, comfortable, thick and warm, vest is good for your pet move and doesn't feel hot.Size:L - Fits neck 36cm/14.17"; Fits chest 46cm/18.11"; Back length 36cm/14.17"M - Fits neck 30cm/11.8"; Fits chest 43cm/16.93"; Back length 29cm/11.41"S - Fits neck 24cm/9.45"; Fits chest 37cm/14.57"; Back length 24cm/9.45"XS - Fits neck 20cm/7.88"; Fits chest 30cm/11.81"; Back length 18cm/7.09"Please notice: Due to the light and screen differences, the item's color may be slightly different from the pictures. Make sure you don't mind before you buy. 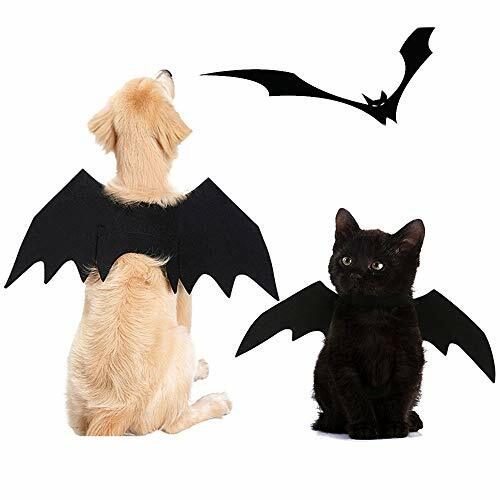 Animal PetDog Cat Bat Vampire Halloween Fancy Dress Costume Outfit Wings Feature:Quantity:1PCColor: BlackMaterial: Felt cloth The whole product is black,with smooth and smooth lines. 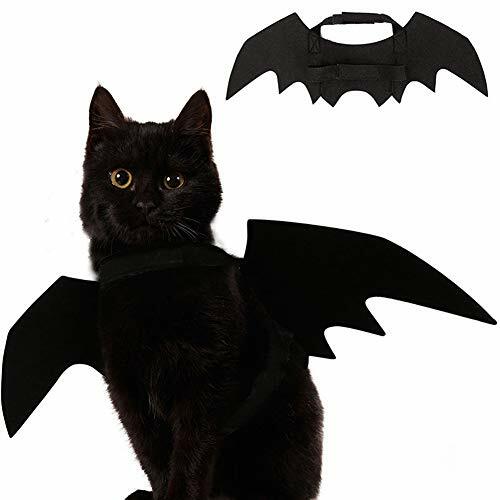 It can deduce the mysterious and cool feelingof bats.The neck and chest fixingbelts are all designed with Velcro fit. 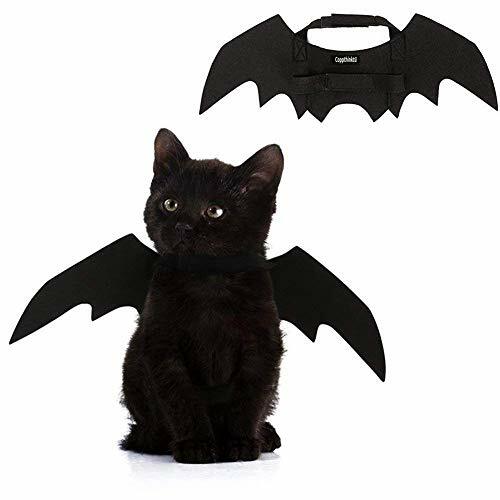 The size adjustment is veryconvenient.In the chest fixed belt partexerts reinforcement treatment, more durable.Give your haughty cat a batwing to create a charming back Material:cloth Content: 1PC batdress upSizeDetails:Size:L Length:60cm/23.62" Width:30cm/11.81"Chest:78-86cm/30.70"-33.85" Neck:51-62cm/20.07"-24.40"